Safety on the road is our number one priority! We’d like to remind you that our manufacturer’s warranty is limited to one year. 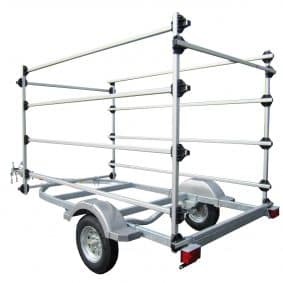 If you own a trailer rack used for road transport, we highly recommend that you change your fittings routinely or at the first sign of stress. Racks are often subjected to wild temperature variations —100+ degrees to well below freezing in some locations. Continuous exposure to UV radiations may weaken plastic joints over time. Thoroughly check your trailer rack for cracks in plastic fittings or bent aluminum extrusions. Change as necessary. 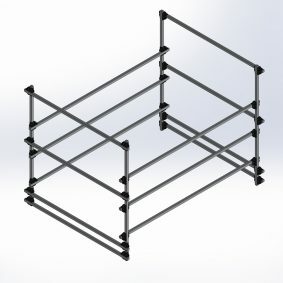 In an effort to assist the preventative maintenance of any trailer rack, Dynamic Dollies is offering a 50% discount on replacement Cross Fittings and free shipping (U.S. locations only). Please contact info@dynamicdollies.com to take advantage of this offer. 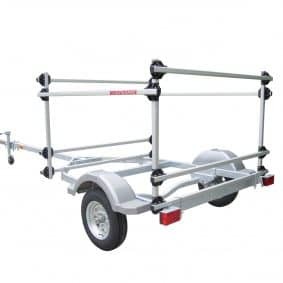 View cart “3 Boat Trailer Rack – Large” has been added to your cart. 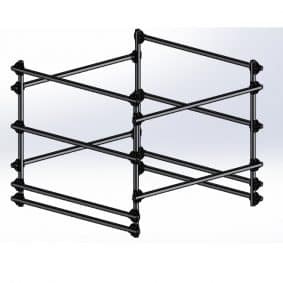 Dynamic Dollies & Racks has been established to manufacture the best dollies and racks for the small-boat owner community. 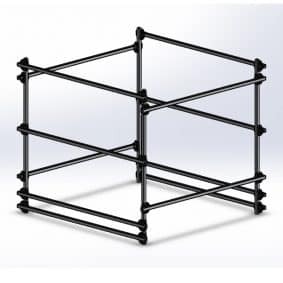 The company manufactures standard dollies, racks and parts but will also build custom made items to satisfy individual needs. 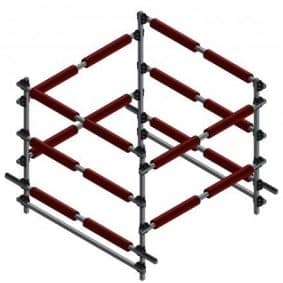 The company only uses materials that will last and have been specifically chosen for their durability, resistance to weather and functionality. Most Dynamic orders ship the same day! Copyright © 2019 Dynamic Dollies & Racks, LLC. All Rights Reserved.